I was wondering what the tobacco with a very dry taste is. I've tried various brands and types here and there - the latest was a brand called Russ' Cinnamon Roll, which was a blend of Virginia, burly, and Cavendish. I enjoyed it, though I wasn't extremely fond of some of the wetter tasting tobacco (possibly the cavendish; I'm unsure). I also found it a bit hard to keep it lit. My next plan is too try some lakatia, which another member (Del I believe) mentioned some time ago. If someone could describe some of the taste differences, and recommend one with a drier, rather than a wetter taste, I would appreciate it. It's been my experience over the years that so-called English blends make the dryest smoke. They'll dry your mouth out. An accompanying refreshment is always nice. Sounds good, thank you - out of curiousity, do you have any opinion on lakatia? I've been eager to try some for awhile. You might not like it at first. I know the first time I smoked it to me it smelled and tasted like burnt tire rubber. It took awhile to gain an appreciation for and enjoy it. epending on what you enjoy smoking, lets say aromatics for the sake of argument, find an aromatic blend that incorporates it (like Sillem's Black or Just for Him's Shortcut to Mushrooms (not sure if either is still available)). Or at least blends that have a light hand with it before jumping into the heavier blends like 10 Russians. Or don't you might enjoy it right off the bat. All of what Thoth says above is true. I've always loved latakia's tin note and room note, which is (or should be) very easily detected in a blend. My favorite was Syrian, which is no more, unfortunately. But Cyprian is very nice also. Before I discovered McClelland my go-to tinned tobacco was Dunhill 965. When visiting B&M shops I'd always try the various house English bulk blends, but always kept 965 on-hand. Now, post-McClelland and post-Dunhill, besides winding down with all of the no-longer-available McC and Dunhill blends I have cellared, I'm having occasional trial smokes of various C&D and GLP blends mostly. Perusing Tobacco Reviews and various catalogues is enjoyable, just for a glimpse of what is still available, as I'm sure you're doing already. Stick around and perhaps you'll eventually find a sample or two in your mailbox from a certain so-called "tobacco fairy" on the east coast who seems to enjoy experimenting with latakia blends. GLP Odyssey is "dry". I would say any blend high in Latakia and other Orientals would be dry as you describe it. 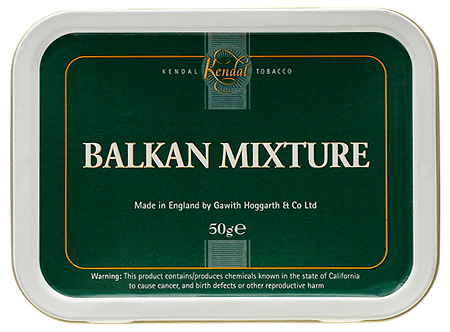 I am fond of GH Balkan for the dry aspect. Pairs well with coffee, tea, and Bourbon.